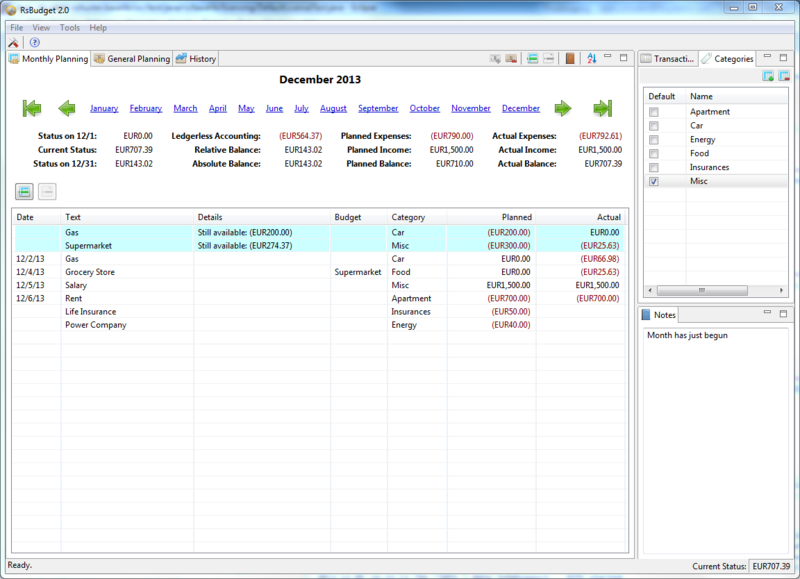 RsBudget is a PC software to budget, track and control your private financial activities (Expense Tracker). It is published under the GPL License and free of charge. RSBudget was developed because there have been no free expense trackers satisfying my needs. Version 2.0 is the first public version as previous versions served to gain experience and stability only. The application still misses some features, e.g. nice graphical statistics or export/import capabilities. But I didn’t regard them as a must-have for the first public version. 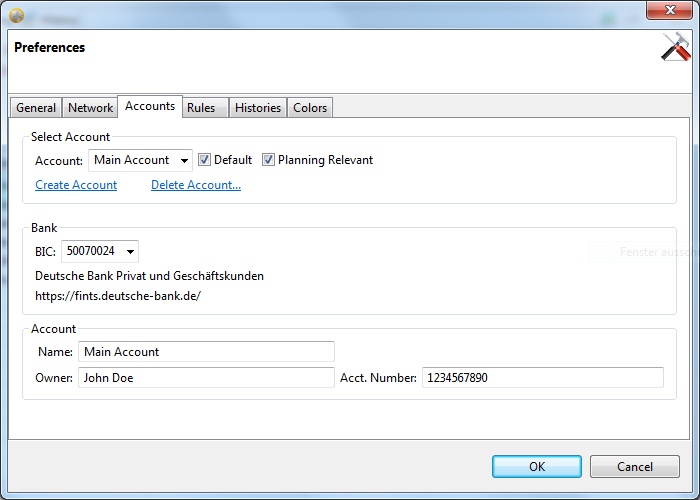 They will be added with next versions, some will be available as commercial add-ons later. However, I didn’t decide on that, yet. Constructive criticism is highly welcome at the comments section below. Bugs and Feature Requests can be reported at JIRA. You can request changes or report any bugs at my Jira instance. Support can be requested via the comments at the end of this page. 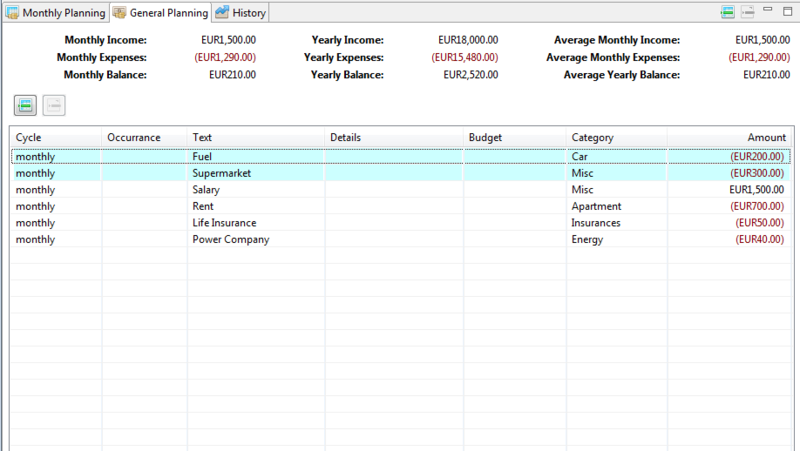 The Source Code is available through SVN at http://http://svn.ralph-schuster.eu/svn/OSS/rs.rcpplugins.rsbudget.